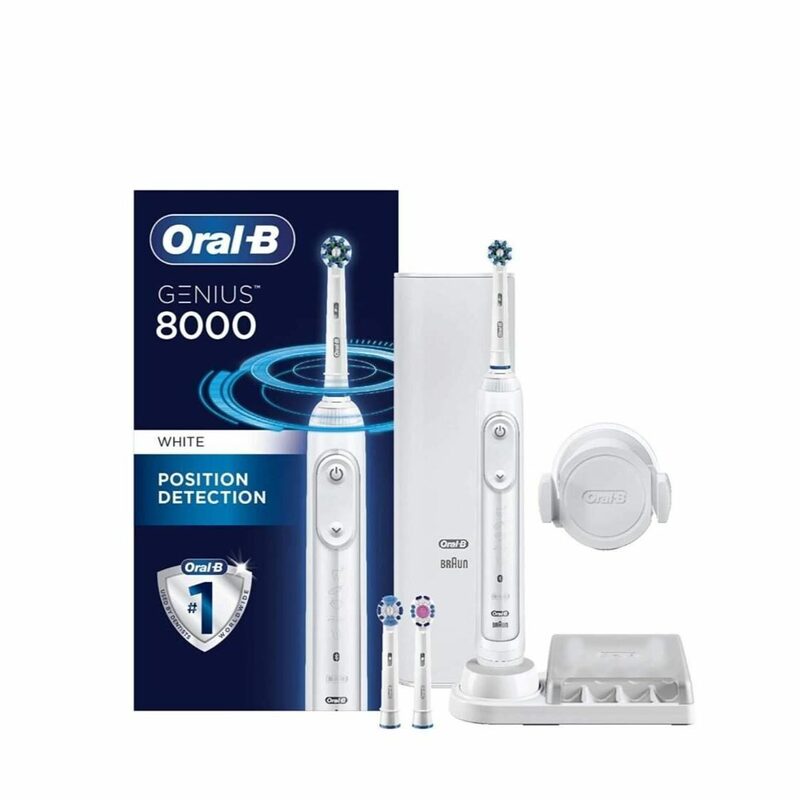 The NEW Genius 8000 pairs with your smartphone to enable Position Detection which uses facial recognition to help you know where you've brushed, so you never miss a zone. Customizable multicolor SmartRing provides real-time visual coaching on brushing time and pressure to help you brush like your dentist recommends. Pressure sensor technology automatically slows brush speed and visibly alerts you to protect gums from over-brushing. 6 cleaning modes allow you to brush based on your needs: Daily Clean, Gum Care, Sensitive, Whitening, Tongue Cleaning and Pro-Clean Mode. Smart Travel Case allows you to charge your toothbrush and your smartphone at the same time.